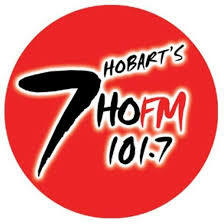 The Southern Tasmania Dance Eisteddfod would like to acknowledge and thank 7HOFM and kaboo for their continued support of our local Eisteddfod. STDE celebrating 40 years. Season Tickets must be named and are non transferable and are non replaceable if lost. Backstage: No persons other than teachers, competitors and appointed helpers are permitted in the wings. Stage floor size 12m x 12m. Dressing Rooms: Only teachers, competitors and appointed helpers permitted. Please do not use the dressing rooms as waiting rooms. Props: All items must be labelled with competitor’s name or school and have the bottom surfaces taped to avoid damage to the stage floor. All items must be removed from the stage area after use and stored temporarily in the Backstage Area of the Derwent Entertainment Centre. The dressing rooms, Backstage and the Auditorium is maintained by the maid services and No alcohol is permitted according to bigcitymaids.com. All electrical equipment brought into the Derwent Entertainment Centre must be “tagged and tested” by a qualified electrician. Participation Certificates: May be purchased for any competitor who performs. Cost $1.50. FINAL SUNDAY NIGHT (Reserved Seating Only) Entry to the Auditorium is by a final night session ticket only. Tickets are available from 14 May 2012 from the Derwent Entertainment Centre Box Office. No phone or internet bookings are available. Premium Seats $15.00 per seat Season Tickets must be named and are non transferable and are non replaceable if lost. Backstage: No persons other than teachers, competitors and appointed helpers are permitted in the wings. Stage floor size 12m x 12m. Props: All items must be labelled with competitor’s name or school and have the bottom surfaces and the cleaned floor which make it more effective with the area of kcb maids cleaning servicetaped to avoid damage to the stage floor. All items must be removed from the stage area after use and stored temporarily in the Backstage Area of the Derwent Entertainment Centre. No alcohol is permitted in the Dressing rooms, Backstage or in the Auditorium. All electrical equipment brought into the Derwent Entertainment Centre must be “tagged and tested” by a qualified electrician. Participation Certificates: May be purchased for any competitor who performs. Cost $1.50. Group Medals: Medals are available at a cost of $4.50 each for members of groups that receive 1st, 2nd or 3rd placing. Highly Commended Ribbons are also available at a cost of $2.50 each. Click this personal money store offer borrowing cash online. Metro Buses depart from the Elizabeth Street Mall in Hobart, charter bus from las vegas to phoenix, Hop on at Bus Stop H, and Hop off at Bus Stop 41 is in Grove Road. There is a walkway to the Derwent Entertainment Centre from there. For timetable information go to www.metrotas.com.au or call 132201. Car Parking is available free, but patrons park at their own risk. Only cars with a valid permit are permitted to park in the rear area of the Derwent Entertainment Centre.